A classy affair in Cincy. 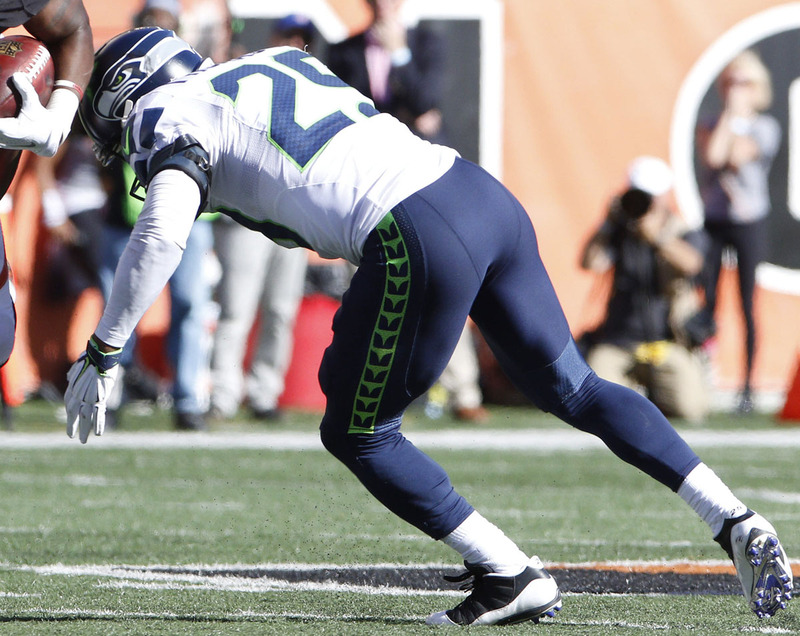 It's been an unusually rought start to the season for the Seattle Seahawks, who fell to 2-3 after dropping a road game to the Cincinnati Bengals earlier today. 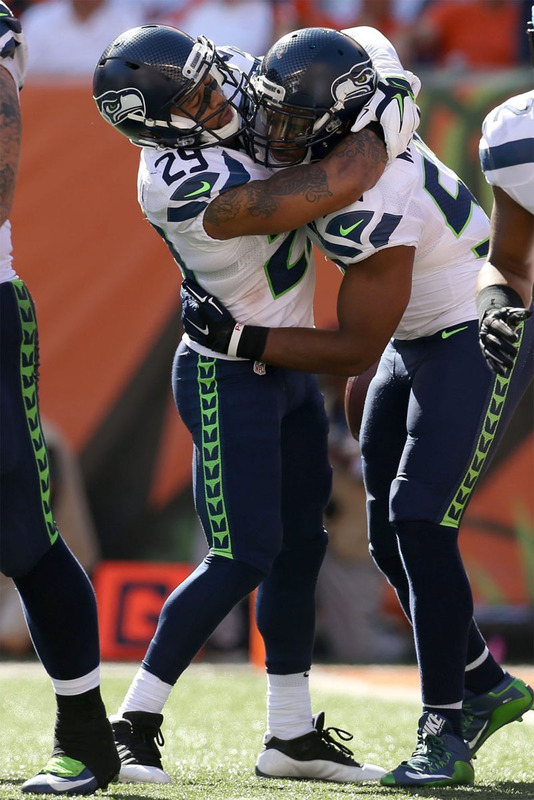 One of the stars for the Seahwks in the losing effort was DB Earl Thomas, who recorded two tackles and an interception on the day. After beginning the game in his Seahawks-inspired Air Jordan 6 Player Exclusive, Thomas finished the game in "Tuxedo" Jordan 11 Lows. 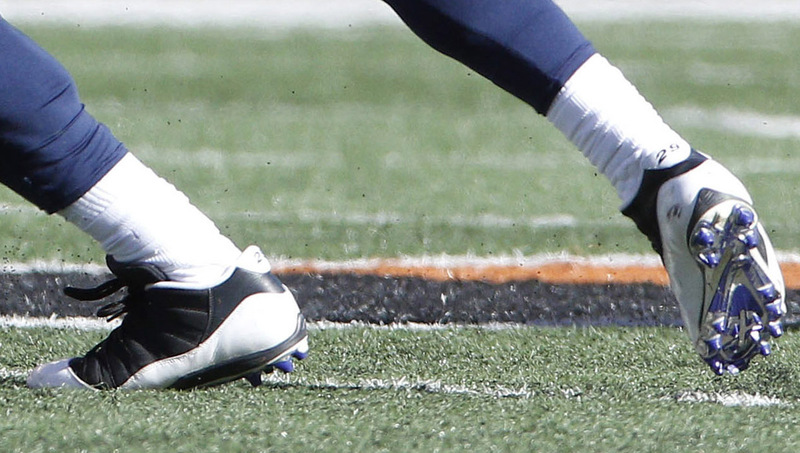 The cleats were actually issued last season, when players like Michael Crabtree wore them on the field.